this will be our only art gathering for the month of August. we have a ton of internal work and planning taking place to make sure each and every art experience after this reaches a new level of production. we cannot wait to deliver this new concept to our friends, family, and loved ones. these art gatherings are intended to offer an exclusive experience directly into our minds and the inner circle of artists and creators we associate with. so far our gatherings have been unreal and we are completely thankful for each and every person coming out to support the visual artists and performers. we are an arts society taking art shows into our own hands. thank you for your time here. 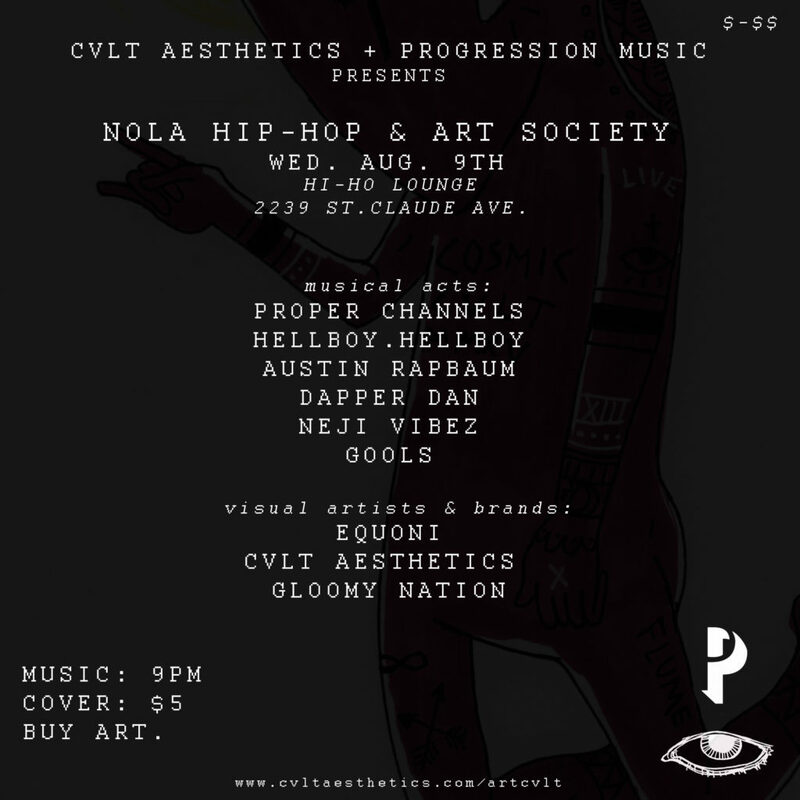 the event is taking place at Hi-Ho Lounge on Wednesday August 9th. donations at the door is $5 and it goes directly to the musical performers. please come and $upport our overly talented musician pals. they put their all into their sound and work. rsvp via facebook or click our personal link through the artcvlt tab on our website. the password is culture.